This Cinnamon Roll Smoothie tastes just like your favorite decadent breakfast treat, homemade cinnamon rolls, without all the guilt! Blend it up in just 5 minutes for a quick, on-the-go breakfast or snack. Hey friends! 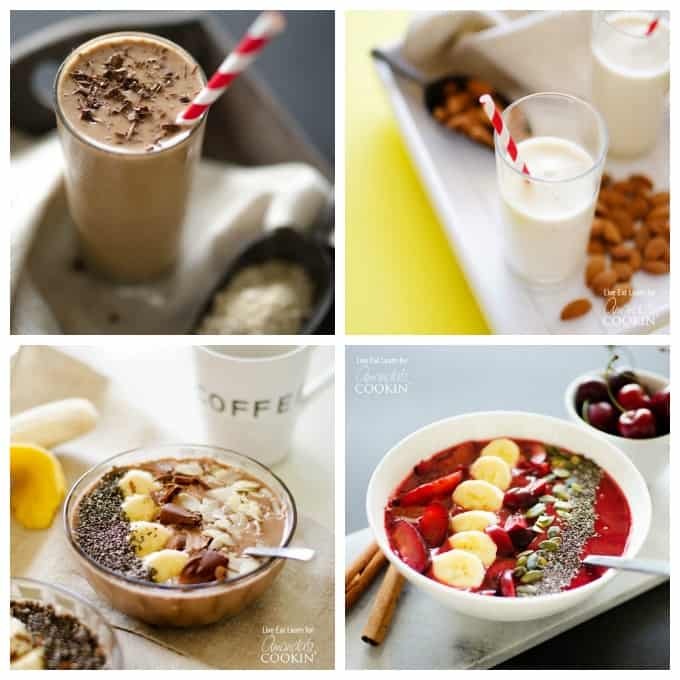 Sarah from Live Eat Learn here back with another super simple smoothie recipe. As you may already know, I really love smoothies. We’ve whipped up smoothie bowls and coffee smoothies and smoothies packed with fruit, but today we’re taking a different approach. 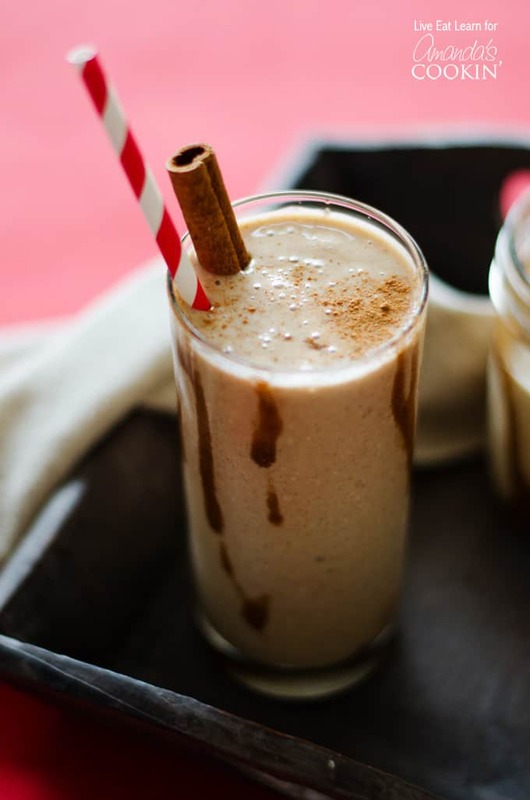 Today we’re transforming what is very likely my favorite food on the planet, gooey decadent cinnamon buns, into a smoothie. And a healthy smoothie, no less. Now this smoothie has some seriously simple yet important components. 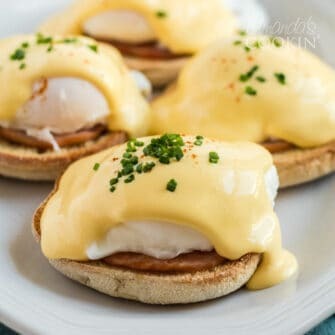 Let’s talk about ‘em. The frozen banana is our base. It creates a frozen, creamy foundation that’s so much more satisfying than if we were to use ice as a base. We’re throwing in instant or rolled oats for a touch of nuttiness and to thicken it up, and also to replicate the taste of the cinnamon bun dough. Greek yogurt packs a punch of protein while combing with the vanilla and brown sugar to give the taste of the icing. And finally, we’ll drizzle it with a honey/cinnamon combo for a healthy dose pizazz. 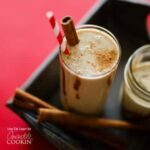 I hope you enjoy this cinnamon roll smoothie! 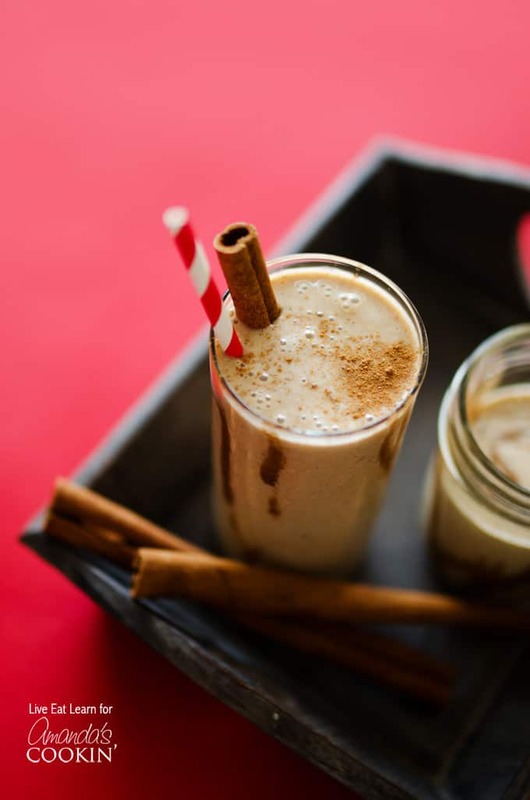 Nutty almonds and maple syrup meet creamy Greek yogurt and a frozen banana to create a heavenly Almond Maple Smoothie you won’t be able to put down. These Dairy-Free Smoothies are the perfect solution to any intolerance, you’ll still be able to indulge in a tasty strawberry or chocolate smoothie with this recipe! 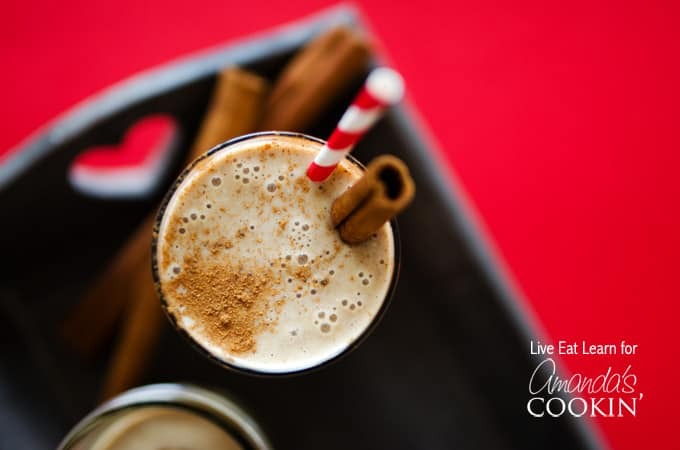 If you love cinnamon rolls then you are really going to enjoy this cinnamon roll smoothie! Inspired by your favorite cinnamon bun breakfast indulgence. Combine all smoothie ingredients until well blended, adding more milk as is necessary to reach a consistency to your liking. Combine honey and 1/2 teaspoon cinnamon. Drizzle into the glass then pour in the smoothie. Drizzle on top as well, or top with a dusting of ground cinnamon.